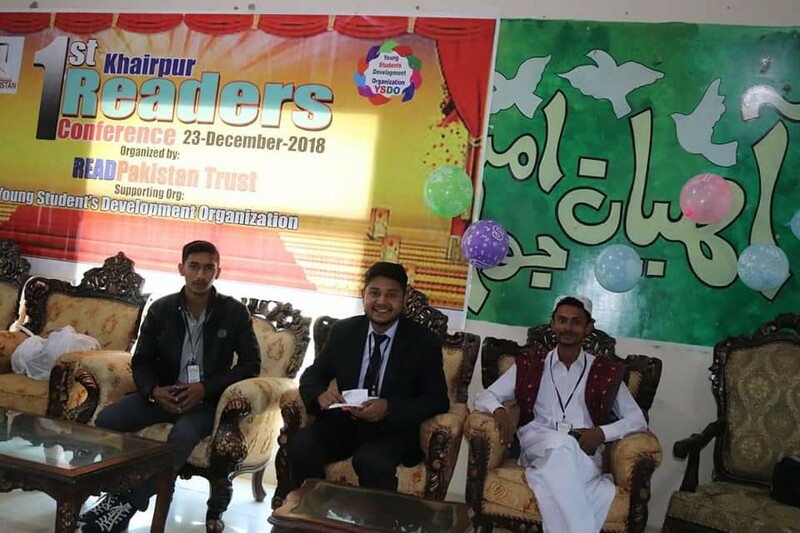 Khairpur; 23 December, 2018: ​First time in the history of Khairpur Sindh , Read Pakistan organized the first Khairpur Readers Conference on the theme *Read to Lead* , as a mission to spread reading culture in Pakistan.This was actually a part of series of Readers Conferences. Khairpur Readers Conference was organized by Read Pakistan. It was co-supported by Young Students Development Organization. Sir Riaz Hussain Wassan ADC Khairpur was Chief Guest of the conference. Other guests included Abdul Jabbar Shaikh , Ahsan Shaikh , Faiza Kanwal , Samiullah Mahar Abdul Najeeb Memon and Sami Ullah Niazi. Different speakers spoke about Reading and its importance. They also shared the impact of Books on their lives. Chairman of the Trust sir Farrukh Dall congratulated the team leader Raheel Burdi for a successful event and announced award for his extraordinary services for the Trust. We hope that our efforts in spreading Reading culture would not stop.